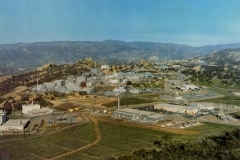 This gallery contains photographs of the Santa Susana Field Laboratory (SSFL) in its early years and of cleanup activities. 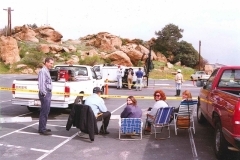 The Rocketdyne Cleanup Coalition and allies have been working for over 20 years to protect our communities. We have been blessed to know many extraordinary people along the way whose dedication and passion continue to inspire us. Recent years have seen tremendous victories in our efforts to cleanup Rocketdyne. New allies have joined these efforts, bringing creative energy and talents to our struggle.